I am keeping them the same macros as last week….Why mess with something if it is working??? Confession time…I broke and used the rest of the Coffeemate in my fridge. I couldn’t waste it, right? So how do I explain the fact that I bought more? By telling you that I am human. I have been chewing gum crazy for years (like more than a pack a day) and gave it up a few weeks before I began my 8 Weeks to 40 plan and I have managed to NOT chew ANY gum since then which I consider a victory! I have also managed to stay away from frozen yogurt for the last 4 weeks and if you look through my Instagram feed you will see plainly that it was a weekly habit and one that was overflowing with candy toppings. I have decided that I can give myself some grace and break my Coffeemate habit at a later date. I did experience some hunger again this week, however that is to be expected and will be rectified soon when I begin my Reverse Diet in a few weeks. I was also a little sluggish on some days, but that seemed to coincide with the days when we had grey Fall weather (that ALWAYS gets me). I’m a girl of the sun…I don’t care if it is cold as long as the sun is out. As I mentioned above I am planning on keeping the same macros this week. Oftentimes people have this odd itch to switch-up their macros and speed-up the weight loss. I want to preserve my muscle and keep any fat loss nice and slow so I do not dip in to that muscle I have been working so hard to build. I’m half way through my planned cut and excited to see what the next 4 weeks bring. I am keeping them the same as last week’s. 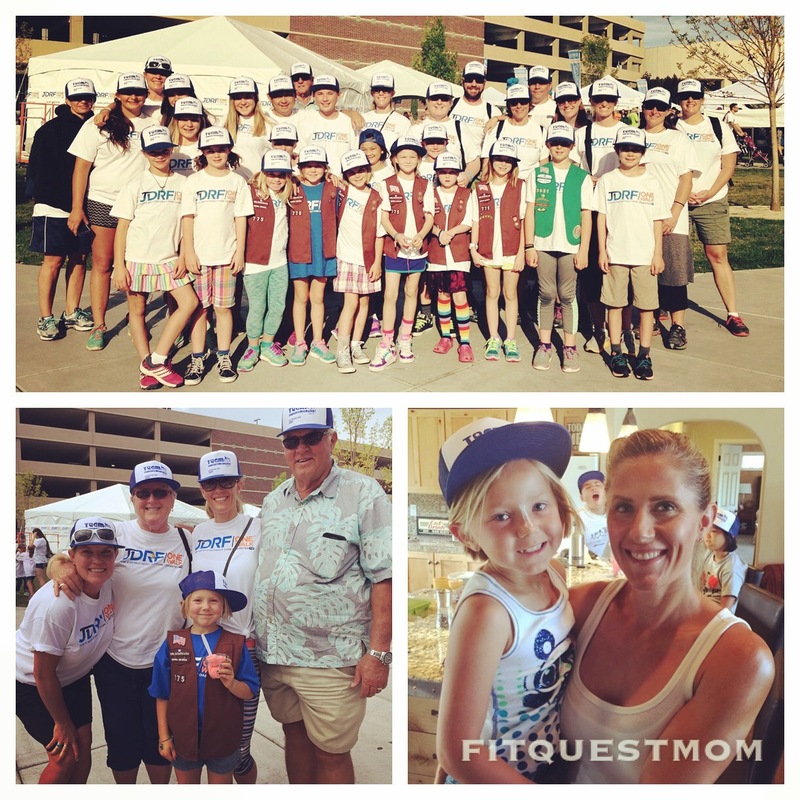 I went out of town this past weekend (for my niece’s Juvenile Diabetes Walk). I did not sleep as much as usual (raises cortisol). I was able to still hit my macros while out of town. The majority of my protein this past weekend came from my husband’s amazing pulled pork, which also happens to be pretty salty. I drank 3 diet sodas yesterday (I am NOT a soda drinker) because I was getting tired while driving home from our road trip and I needed the caffeine…that’s the only time I ever drink soda…super rare. Since I was in the car for 7 hours yesterday I did NOT drink my gallon of water. Lastly, um…how do I put this?…My bathroom habits weren’t normal this weekend. I took above ab progress picture this morning after my workout and despite the number on the scale I SEE the progress. I think it is important for everyone to remember that we lead busy lives and we need to LIVE them and enjoy them. It would never cross my mind to not eat my hubby’s amazing pulled pork (it’s soooo good!) because it might affect the number on the scale, or to not allow myself the freedom to have a soda (or three) on a rare occasion, etc. It all evens out in the end. Consistency is what really matters over the long term. I am a person who thrives on goals and loves something to work toward. In fact, when I don’t have a goal I feel like I am just treading water. 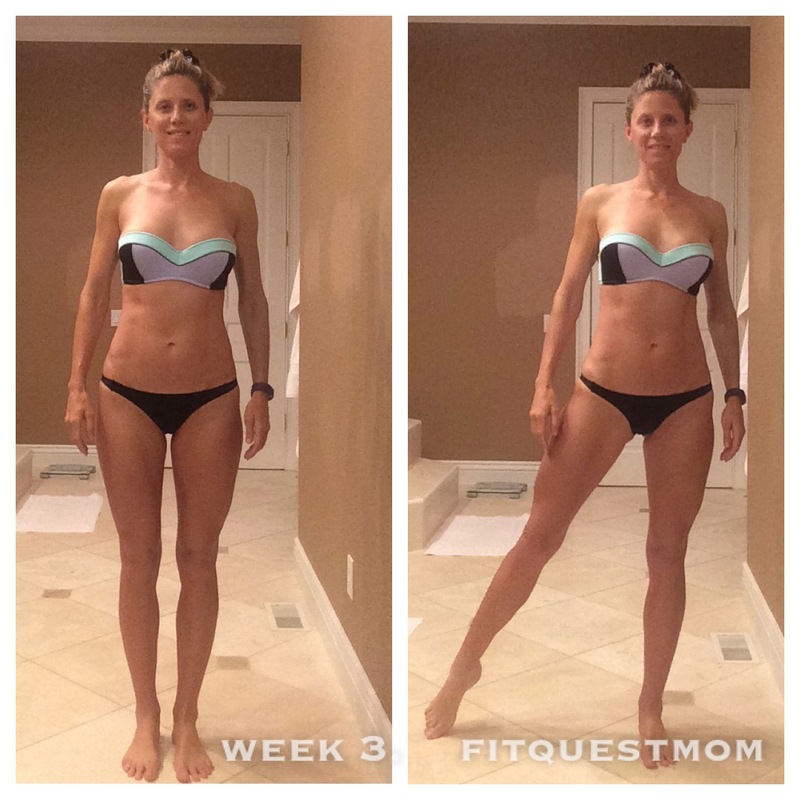 Recently I have found myself feeling a little ho hum when it comes to my fitness and nutrition routine. A quick look at the calendar last week made me realize that in a few days I would be 8 weeks away from 40 years old. Bingo…new goal. I have spent the last year working hard to add muscle to my frame (see picture comparison above). As you saw in my last post about Reverse Dieting, when I originally began IIFYM/Flexible Dieting and got back into lifting weights (really heavy for the first time) I was able to achieve a very lean look, but there wasn’t a lot of muscle under there and I had very little “shape” to my body. Now that I have put a lot of effort into trying to build the muscle and my metabolic capacity I am pumped to do an 8 week cut to reveal that hard-earned muscle. Thus, my 8 Weeks to 40 plan. 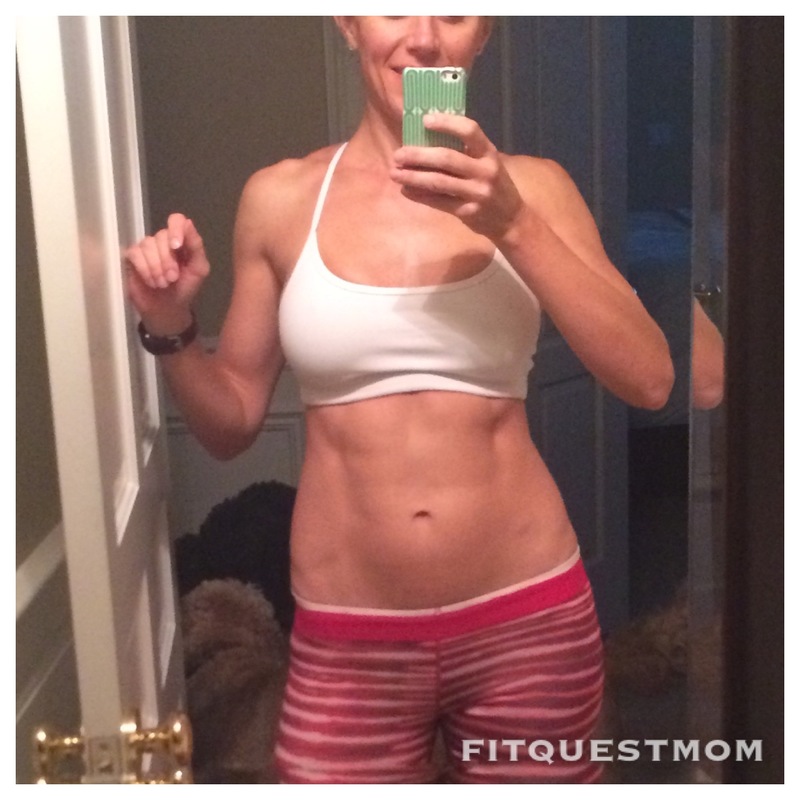 Who doesn’t want to feel their best on their 40th B-Day??? 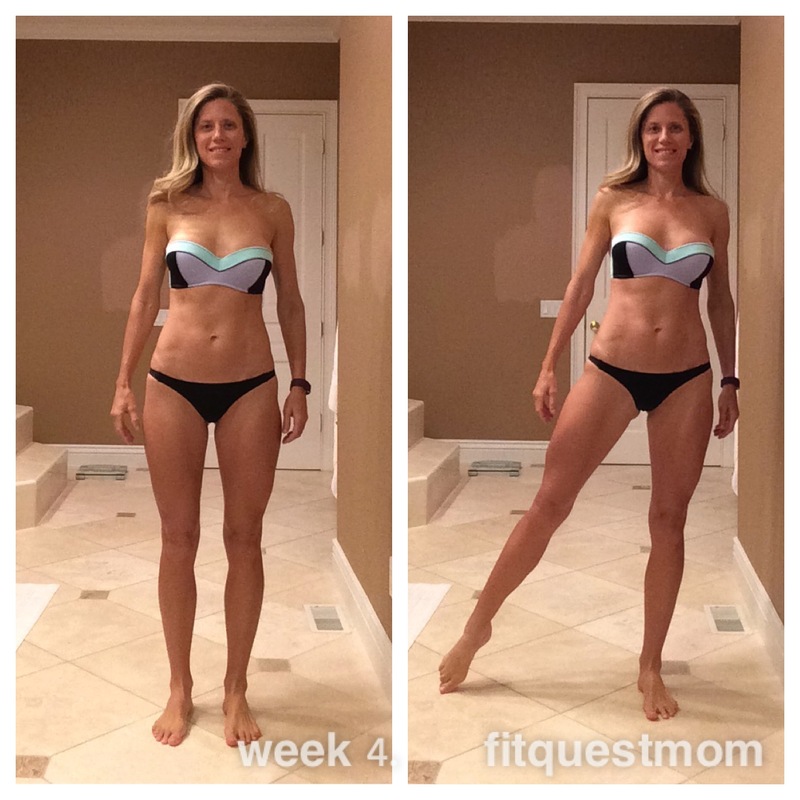 I began my plan last Monday (after letting myself eat like an idiot over the Labor Day weekend…it was fun) and plan on updating all of you every Monday with progress pictures and how the last week went for me. I know there is a lot of curiosity around macros and weight, so I will be fully open with you and share those with you. Please understand that everyone is very different and it would not make sense for anyone to jump right in and eat my macros thinking they will get the same results. 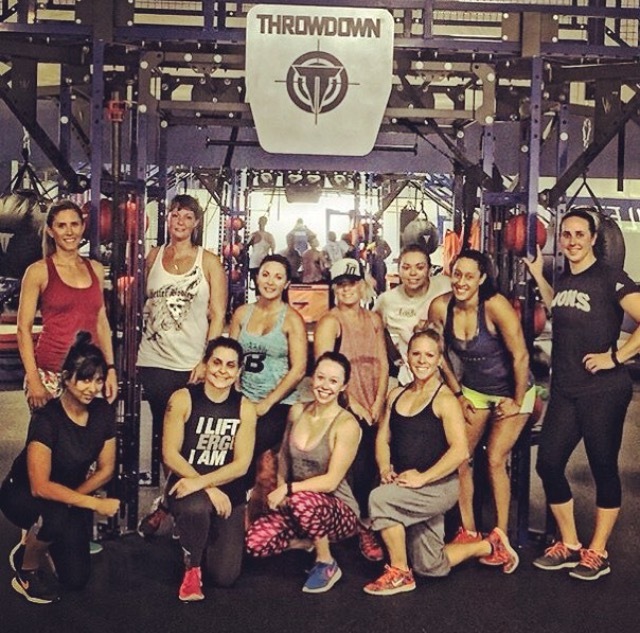 We all start in different places metabolically, so there is no way my macros are right for anyone or everyone. I make no judgement when it comes to what other people choose to eat (that is why flexible dieting is so great), but for the next 8 weeks I am going to be a bit more strict for myself than usual because I want to FEEL my best too. I suffer from multiple auto-immune issues (one of which is hypothyroid) and really want to focus on eating those foods that make me feel my best…yep, that means no froyo for me. Now something I feel like I want to make perfectly clear is that fact that I am NOT unhappy with how I look now. 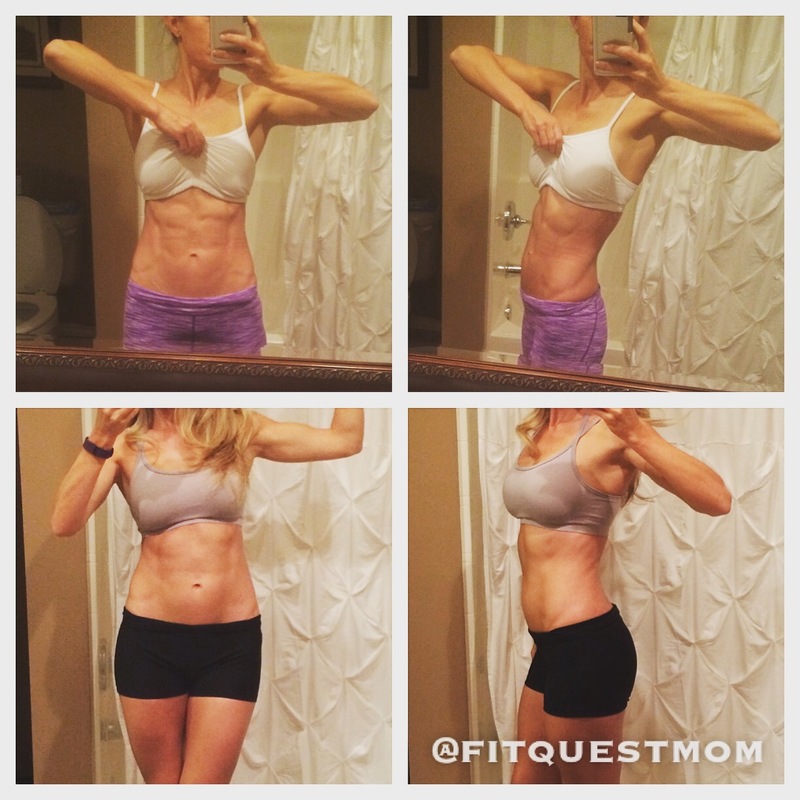 I feel like I am in pretty darn good shape for an almost 40 year old and I do not place my value in how my body looks. I have a lot of fun with fitness and nutrition and enjoy taking care of myself. There are worse hobbies out there. Am I going to be any happier when I am leaner? Nope. Happiness does not come from how your body looks. Sure it is fun to fit into your clothes, etc., but I have finally come to the place where I understand that my family and friends don’t love me any more or less when I am a different size. When I am done with my 8 week plan I have every intention of Reverse Dieting again for at least 20 weeks. It will be awesome timing (if I do say so myself) with the holidays coming up and I will make sure I take you along for the ride with weekly updates on that as well. Like Hana DeVore mentioned in my article on Reverse Dieting, that process can actually be harder than trying to lean out since systematically increasing food actually ramps up your hunger in a major way. I will be counting on you guys to keep me motivated and accountable throughout my Reverse Diet. With that being said, let project 8 Weeks to 40 begin. Below you will find my baseline pictures and stats from Day 1 (Ignore the paint samples on the wall…they’re killing me…we have decided to redo our bathroom and won’t be painting it before then). 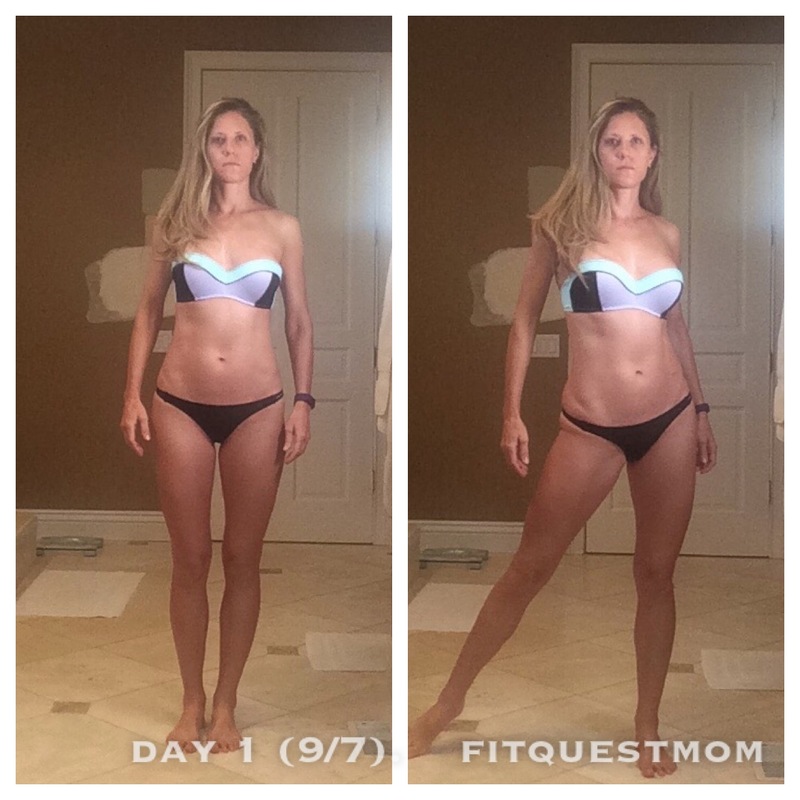 I’ll update you on this week’s progress this coming Monday 9/14/15. 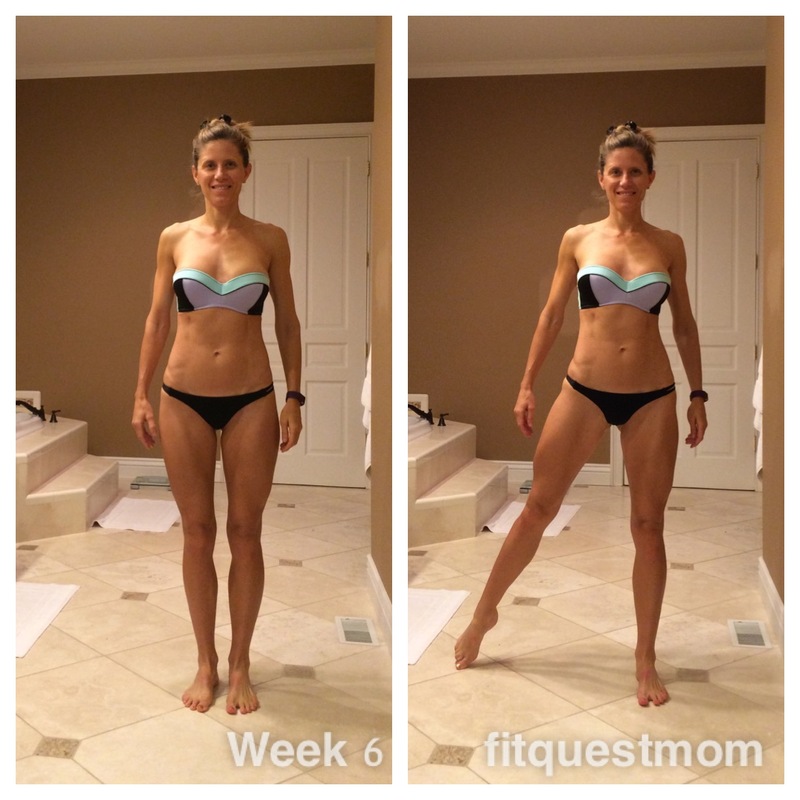 Click HERE to see how week 1 went for me. The other day I was thinking about what I wish I knew when I decided to become vegan and that led to this post. You can NOT eat an unlimited amount of plant-based fat (Even if it is in the form on WHOLE foods)!!! I was initially under the assumption that if it was a whole food and plant-based, then it was healthy. I was adding coconut oil to my green smoothies along with peanut butter AND half an avocado…using olive oil liberally in sautées and stir fries, making nut and seed cheeses, etc. I was also eating nuts by the handful (ok, actually handful”s”). Toward the beginning of my vegan journey I discovered nut-based raw cheesecakes and became very successful making them for friends and family (aka a ploy to always have some on hand for myself). A slice of cheesecake became my after dinner ritual…after all, it was plant-based and therefore healthy, right? Shortly thereafter I took a raw foods dessert class and was amazed by how wonderful everything tasted. Thus my love affair with raw desserts continued. While I did not gain a significant amount of weight per se, I did notice my body becoming more soft (for lack of a better description) despite a very active training schedule. Bottom line, you can not expect to eat a large volume of fat and not have your body increase its body fat percentage. I decided to check my body fat percentage and was shocked to learn that I gained approximately 5% body fat (yowza!). I always pictured people becoming leaner when transitioning to a plant-based diet, not doughier!!! I was left scratching my head because I was eating WHOLE foods, not a bunch of processed vegan cinnamon rolls. I assumed that I could up my plant-based fat because I was no longer consuming saturated fat in the form of animal-based meats and cheeses. Boy was I wrong. Since making the connection I have been consciously eating a limited amount of whole food plant-based fats. I could have saved myself a lot of time had I known this information from the start, which is why I am sharing it with you. Since limiting my plant-based fats I am as lean as I used to be. What information have you learned since becoming vegan that you wish you’d known from the beginning? Image courtesy of Flickr’s The Commons. I first learned of Jon Hinds through the T. Colin Campbell newsletter which I subscribe to. Jon founded the Monkey Bar Gymnasium and has had a very successful career (Don’t you love the quote above from his website!). He is a former NBA strength and conditioning coach and is currently a consultant for both the NFL and NBA. Jon trained Darryl Strawberry (New York Yankees), Glen Braggs (Milwaukee Brewers, St. Louis Cardinals), Charles Smith (New York Knicks), Anfernee Hardaway (Phoenix Suns), Eric Davis (St. Louis Cardinals), Lucious Harris (New Jersey Nets) and members of the L.A. Clippers. For nutrition, I use a simple plan called the “Hand Plan”. The “Hand Plan” follows simple portion control with a plant based diet. Most people love to eat meat, or believe that you need to eat meat to keep or gain muscle, but I am trying to do and teach what is most healthy for the body and the environment and eating animal products is not the way. We suggest people eat 90% or more plant based foods. This has proven extremely effective for burning fat as we average 17 pounds of fat loss and 5 pounds of muscle gain in the first 60 days of Monkey Bar Gymnasium training and nutrition. The “Hand Plan” is simple: eat portion sizes that are as big as your open hand, keeping the majority of the plate or bowl green foods. Keep plenty of nuts, seeds and legumes in your intake as well. Click on the link and enjoy the video where Jon explains what led him to eat a plant-based diet and what he has learned. I met Sarah Taylor at the Healthy Lifestyle Expo when we were introduced by a mutual friend. Sarah is one busy vegan lady! 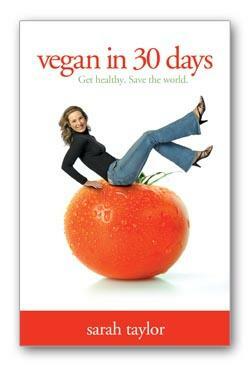 In 2002, she went vegan overnight after reading a copy of John Robbin’s book, Diet for a New America. Four years later she wrote Vegan in 30 Days as a practical approach and step-by-step plan for helping others to become vegan (It has since been published around the world in several languages). Sarah holds Certification in Plant Based Nutrition from Cornell University, and is currently working on her next vegan book, called Vegetarian to Vegan, which will be available next year. She is on faculty at the Nutritional Education Institute, and has worked as the Motivational Trainer for Joel Fuhrman, MD, author of Eat to Live. Sarah has been interviewed for numerous radio and internet shows, including NPR, PBS and EarthSave Radio, among others. 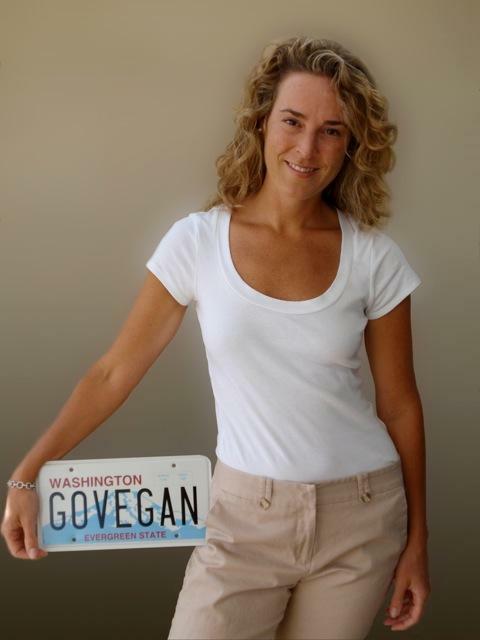 She is an “Expert” blogger at VegSource and also runs her own weekly blog (click HERE). After I went to the Healthy Lifestyle Expo I mentioned to you all that I was now convinced oil is not healthy. Sarah does a fantastic job of explaining why in today’s Guest Blog post. I sincerely hope you take the message to heart because doing so could prevent you from ever having to suffer a cardiac event. 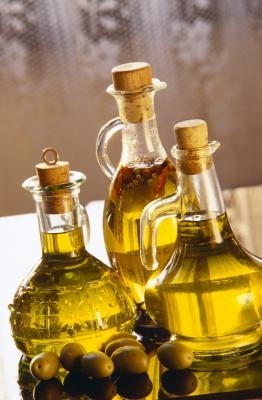 We have been taught that oil – especially olive and canola oils – are heart healthy. They are good for us, and we should swap out butter and margarine and cook with these heart healthy oils instead. However, I believe that nothing could be further from the truth. The heart healthy rumor about oil came from the study that coined the “Mediterranean Diet”, The Lyon Diet Heart Study. In this study, all 605 patients had survived one heart attack. The patients in the treatment group were told to eat a “Mediterranean Diet,” high in fruits, vegetables, breads, beans, nuts, and seeds. They were told to go light on dairy products, fish, poultry, meat, eggs, and wine. They were also told to add in olive oil, for its monounsaturated fats. The people in the control group were given no dietary advice, and ate a diet typical of most Westerners, particularly high in saturated fat. The study had very good results: The people on the Mediterranean diet were 50-70% less likely to experience any kind of cardiac ailments. Since olive oil was specifically recommended in this study for it’s monounsaturated fat content, this is where the belief that olive oil is healthy originated. But what we don’t hear about the Lyon Diet Heart Study is this little factoid: Fully 25% of the people on the Mediterranean diet had either died or experienced a new cardiac event during the four-year study. That’s one in four people on the Mediterranean diet! Compare this to Caldwell Esselstyn’s diet, which is vegan with no oil or other fats included. The patients in this study had suffered from an average of about three cardiac events before the study started. Of all of his patients that fully adhered to his diet, there was not one further cardiac event in twelve years. If you want further proof, here’s another compelling study: A group of students’ arteries were tested after eating a 900-calorie breakfast, to see the effects of fat on the blood vessels’ ability to dilate and contract. Our blood vessels need to be able to expand and contract to regulate blood flow to the organs that need it most. Half of the students had a fat free breakfast of 900 calories, and the other half had a fatty breakfast of 900 calories. After breakfast, the student’s arteries were tested to see how quickly their arteries could bounce back after being restricted for five minutes. The arteries of the group that had no fat in their breakfast bounced right back after being constricted for five minutes; but the arteries of the group that had the fatty breakfast took up to six hours to regain their ability to dilate and contract normally. All oil, my friends, is 100% fat. Even olive oil. Heart disease is not really a disease of the heart; it’s a disease of the blood vessels that occurs when blood (and the oxygen it carries) cannot get to the heart because the vessels are blocked up and compromised. When a blood vessel to the heart gets clogged up and closes, then the heart does not receive any blood, and a heart attack occurs. Our vessels are probably the most important part of our overall health, and fat undoubtedly has a negative effect on our vessels – even “healthy” oils, because they are still 100% fat. Therefore, many doctors, including Caldwell Esselstyn, recommend no oil in the diet. I’ll finish with my personal experience with Dr. Esselstyn. 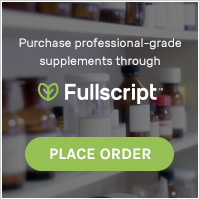 After being vegan for 4 or 5 years, I stood up at a conference and asked Dr. Esselstyn this question: If I am 100% vegan and therefore not ingesting any cholesterol, why does my cholesterol remain so high at 230 mg/dL? He challenged me to get the oil out of my diet. He said that “eating fat causes the body to manufacture excessive amounts of cholesterol,” even if those fats come from plants. I honestly didn’t believe him, but agreed to his challenge anyway. My cholesterol had never been below 200 mg/dL, even when I first had it tested at 19. After just one month on his oil-free vegan diet my cholesterol fell to 151 mg/dL, and my LDL was so low that it was imperceptible on the cholesterol test! When I added oil back in to my diet, my total cholesterol jumped right back up over 200 mg/dL again, and my LDL to 120 mg/dL. For me, this is personal proof that really hits home: Oil is not healthy! For more information about Sarah’s company click HERE.